I have written before on the largest states and on regional temperature trends. So therefore I thought it would be interesting to look at the recent 3 months (January-March) temperature from a “historic” perspective for the 4 largest cities. New York (8,175,133), Los Angeles (3,792,621), Chicago (2,695,598) and Houston (2,099,451). All population figures from the 2010 census. Especially to see how the decade trends have evolved during the last 31 years. 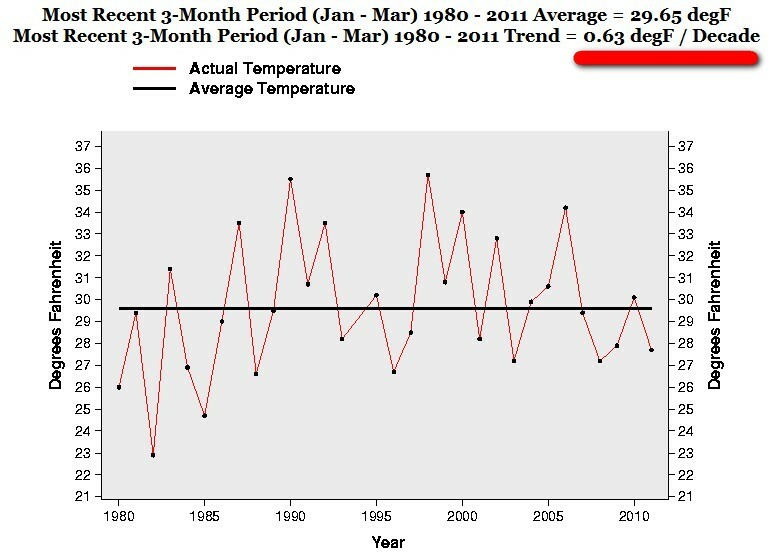 The period that according to the Global Warming Hysterics and computer models they worship should show a steady and accelerated increase in temperature. These four cities also are very well geographically spread over the country which means the data is even more interesting. Remember, these are the official figures. 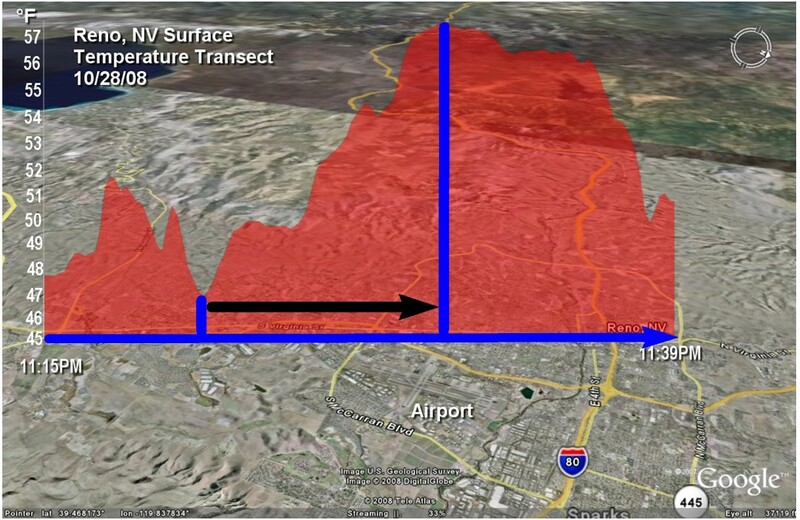 With the poor placement of stations (91 % of the stations are CRN 3 to 5 = bad to very poor); where they have purposely taken away the urban heat island effect, use huge smoothing radius, the historical “adjustment and tweaking” to cool the past etc. Not to mention the great slaughter of GHCN stations 1990-1993 – roughly 63 % of all stations were “dropped”. Oddly enough many of them in cold places – Hmmm? Now the number of GHCN stations is back at the same numbers as in 1890. Also remember that the US stations are now nearly a third of the all GHCN world stations. Another point to remember is that these data are from big cities. This means big Urban Heat island effect. The very obvious effect that it is warmer in the middle of big cities compared to the suburbs. And even more so compared to the countryside outside city limits. 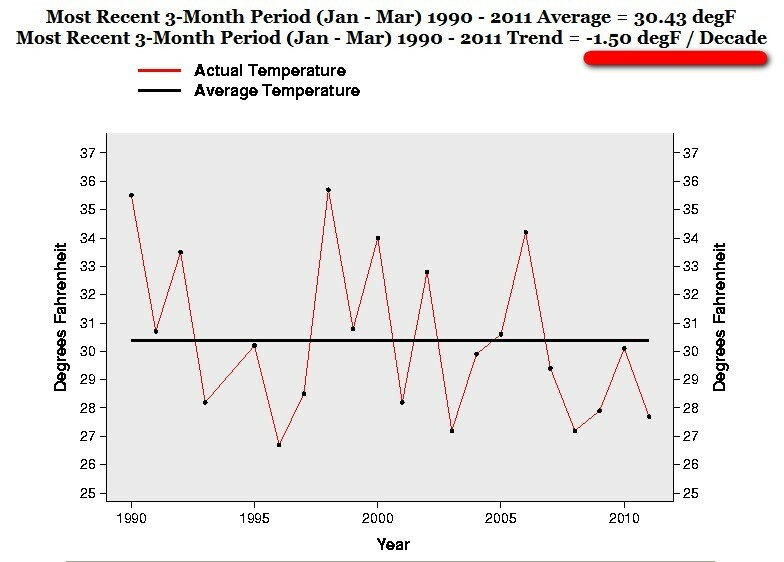 This UHI effect on official temperature data has always been denied by the Global Warming Hysterics. And they have done their best to “adjust”, “tweak” or “reconstruct” the data to hide that effect. So that it doesn’t need to be accounted for in the “official data”. So keep that in mind when you see the data below. This is the warmest of the warmest – temperature data from inside big cities. And here is a picture of an actual measurement in Reno, NV October 28, 2008. Shoving the Urban Heat island effect very clearly. And remember this effect does not exist according to the Global Warming Hysterics. And does not in ANY SHAPE OR FORM affect the “official” temperature “records” according to them. 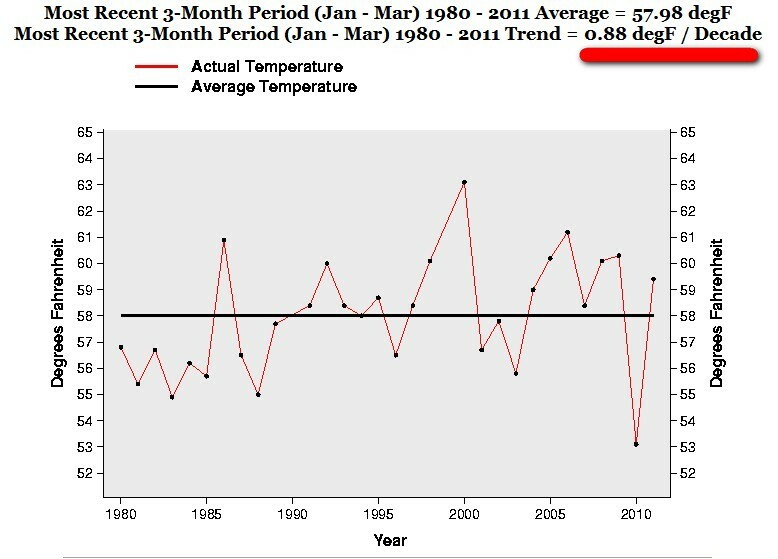 Wouldn’t you say that this is a prime example of rapid warming? 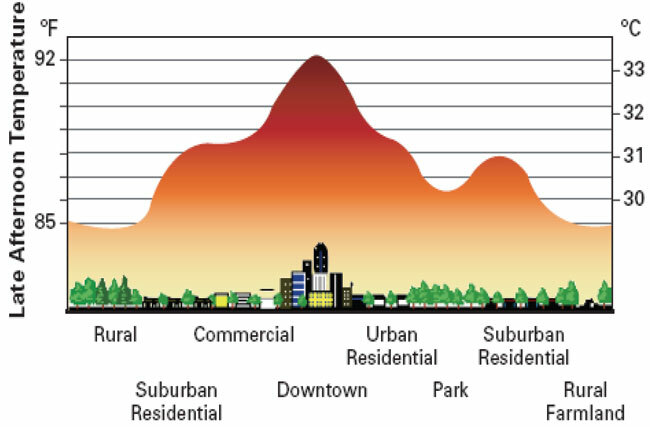 Urban Heat island effect and all? 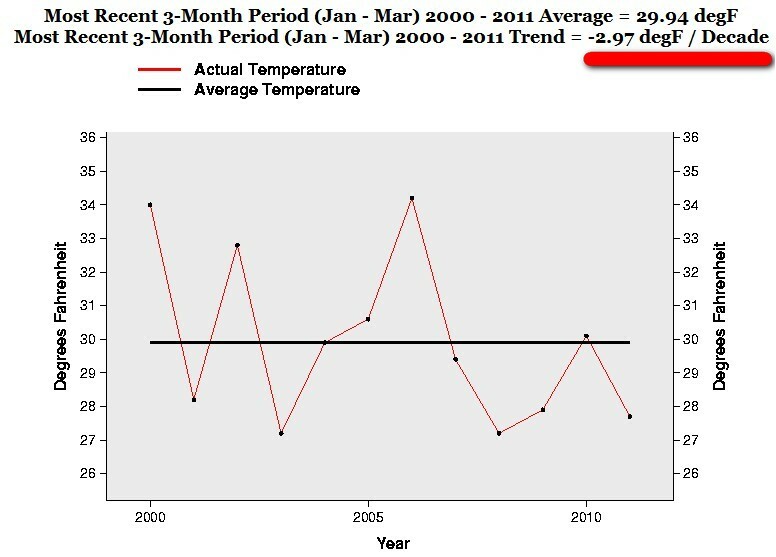 So the “warming trend” 2000-2011 is exactly – 2.97 F degrees COOLER a decade. That is a whopping – 29.7 F COOLER in 100 years. Warm yourself! But nothing to see here – Move On – You need to worry about the Predicted rise of 3- 4 F according to the computer models. Take no notice of the Actual trend. Trust us! 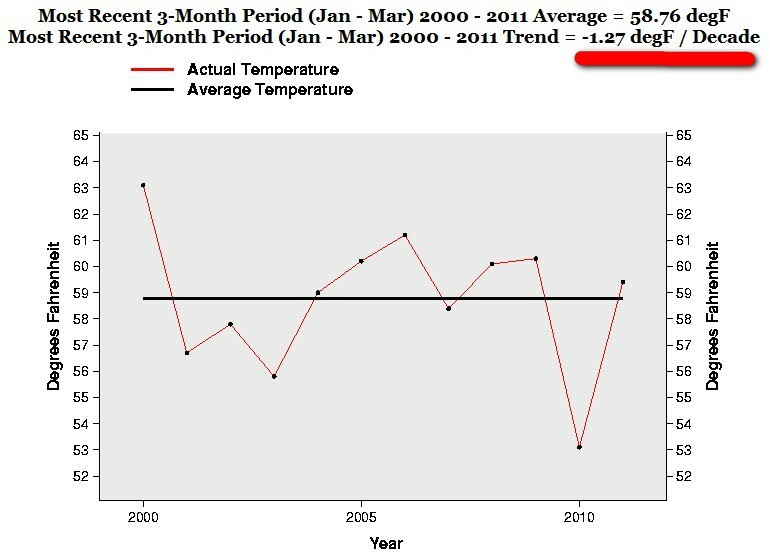 So the “warming trend” 2000-2011 is exactly – 1.27 F degrees COOLER a decade. That is a whopping – 12.7 F COOLER in 100 years. Take cover! 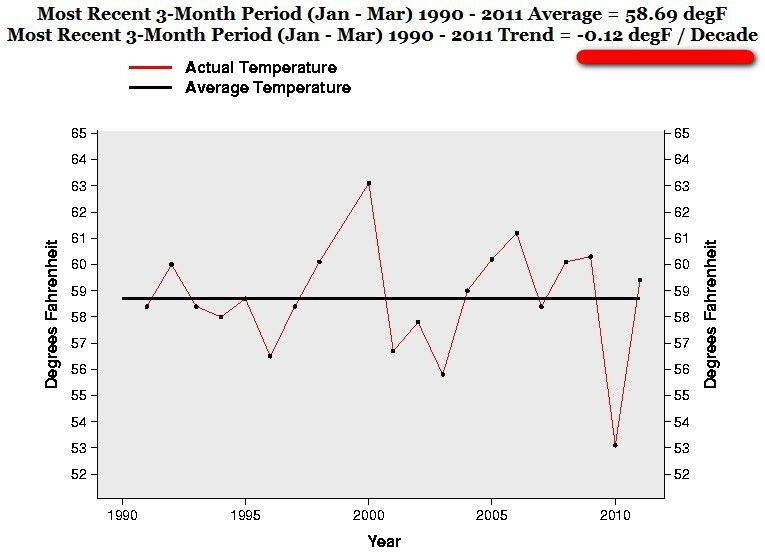 According to the computer models that the Global Warming Hysterics love so much, worship and blindly follows (especially our intelligent politicians), it should be EXACTLY the opposite. 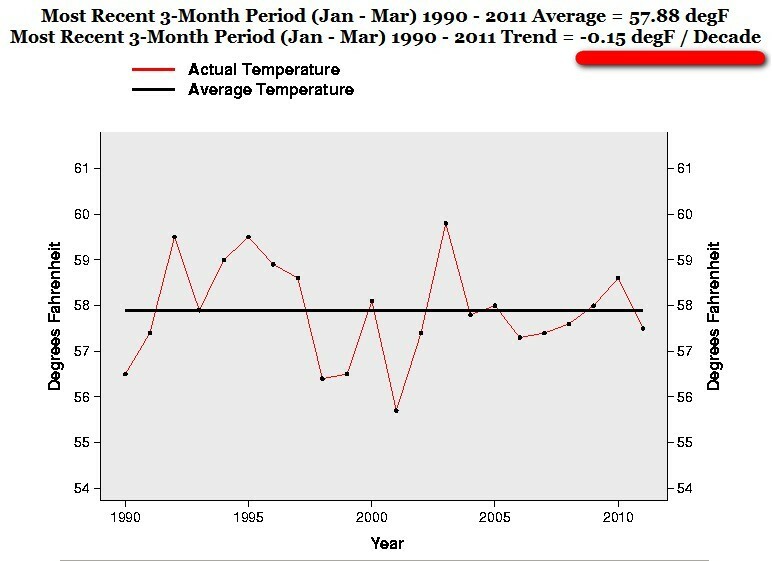 And remember, this is the official data from the warmest of the warmest – temperature data from inside big cities. And we are supposed to be very worried about a predicted rise of 3-4 F? But not these ACTUAL trends? And for this predicted trend the politicians want to take our societies back to the Stone Age. But, as usual, they DO NOTHING about the actual trend. An interesting ”science” wouldn’t you say. 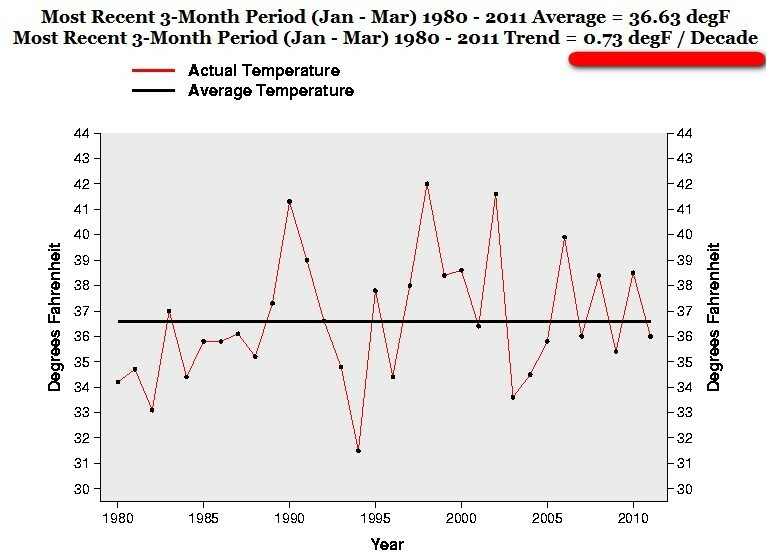 Los Angeles trend 2000-2011 is exactly 0.36 F degrees a decade. 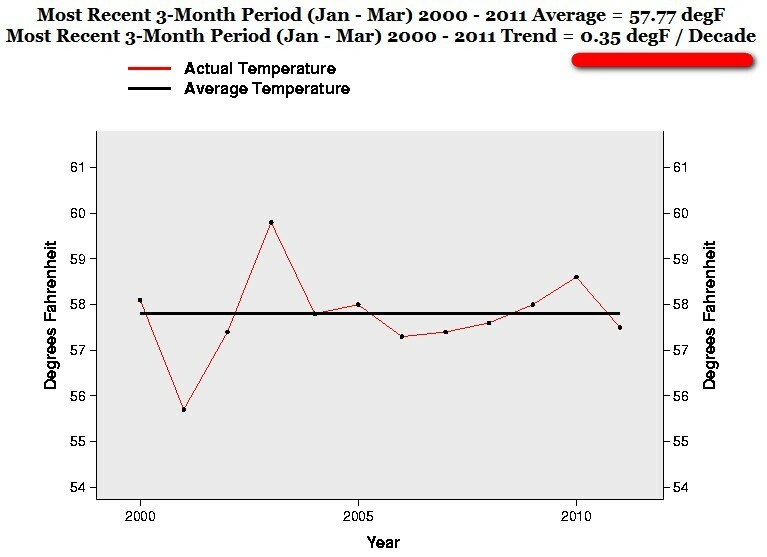 Chicago trend 2000-2011 is exactly – 2.97 F degrees a decade. 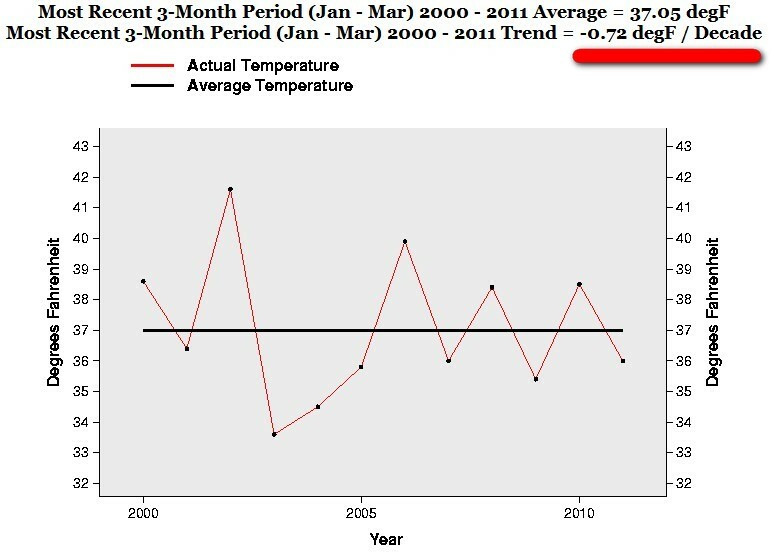 Houston trend 2000-2011 is exactly – 1.27 F degrees a decade. 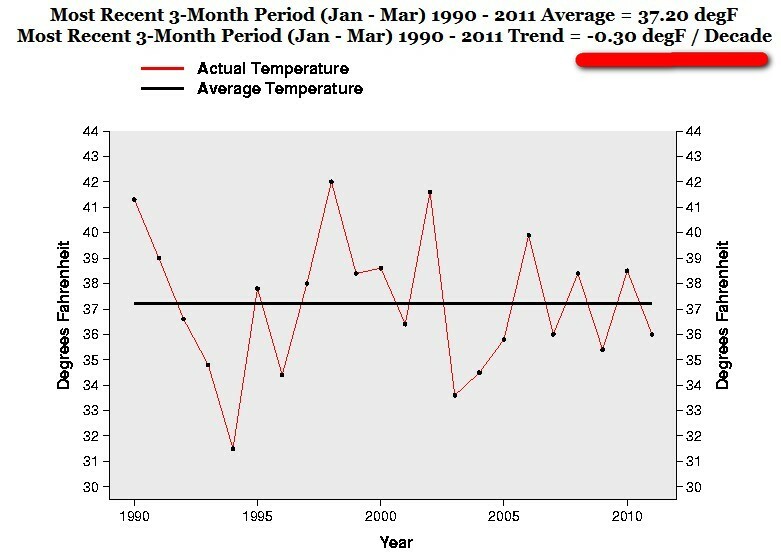 Another telling example of RAPID WARMING and an eminent treat to humankind! That is truly “Global Warming” US style. 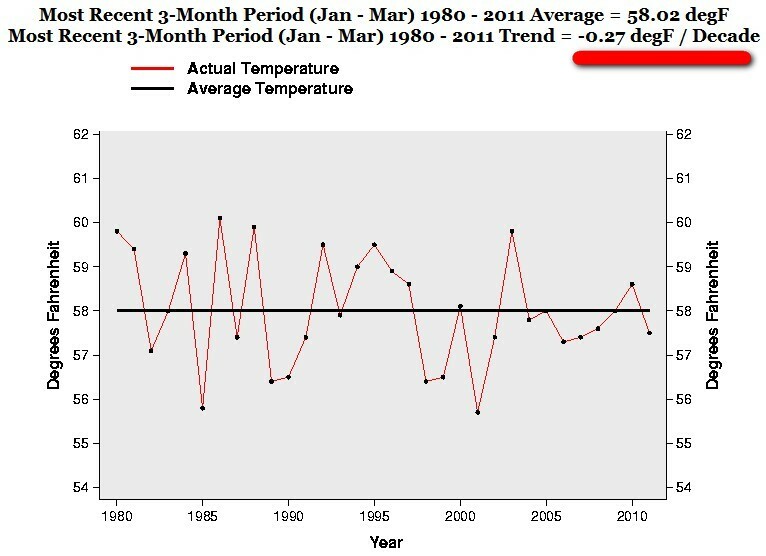 This is the “stuff” that “Global Warming” is made of. This entry was posted on 12 april, 2011 at 12:07 f m and is filed under Fri- och rättigheter, Miljö - Environment, US Temperature, USA, Yttrandefrihet. You can follow any responses to this entry through the RSS 2.0 feed. You can leave a response, or trackback from your own site.